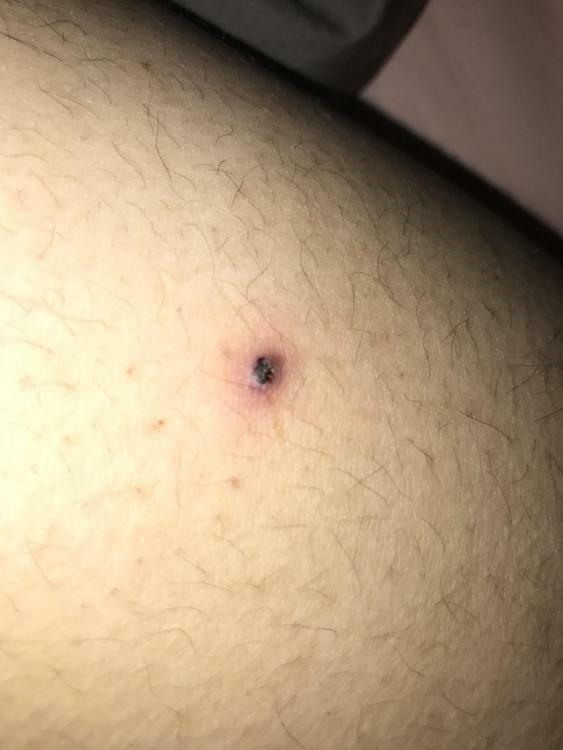 I had a pimple on my thigh that went away after a week or so. Then another one came along around the same area and its been 4 days or so since it popped up and I just noticed right now that it turned black! I'm a little worried. I will insert a picture.